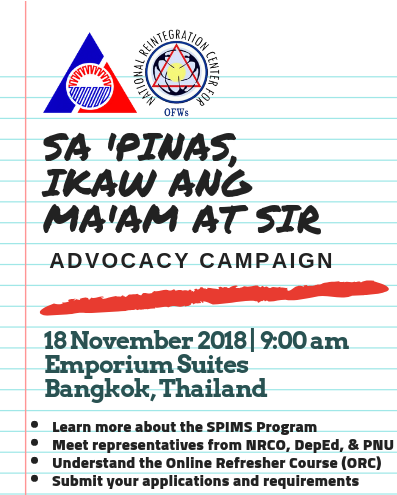 Department of Labor and Employment’s “Pinas, Ikaw ang Ma’am/Sir” (SPIMS) program will be in Bangkok on November 18, Sunday at Emporium Suites in Bangkok. “Pinas, Ikaw ang Ma’am/sir” (SPIMS) is an OFW reintegration convergence project of DOLE, DepEd, and other government agencies such as PRC, CHED, TESDA, PNU among others, which provides opportunities for OFW LET passers to return, find employment and practice their profession as teachers, according to www.teacherph.com. 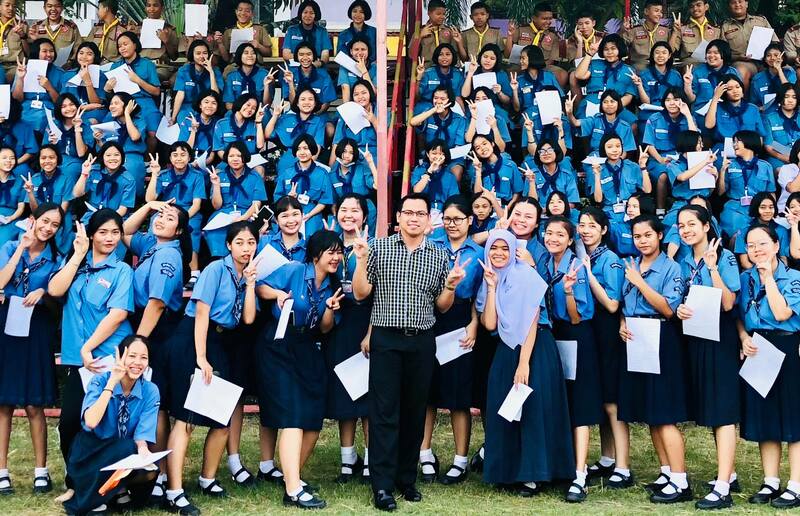 The program aims to gain back the Filipino workers overseas, particularly the OFW LET Passers and reverse out migration by enhancing their skills and providing them with the option to stay in the Philippines to work as teachers. Speakers at the said seminar are from DOLE-NRCO, Dep-ED, Professional Regulation Commission and Philippine Normal University. More deatils about about “SPIMS and employment reintegration” will also be discussed. 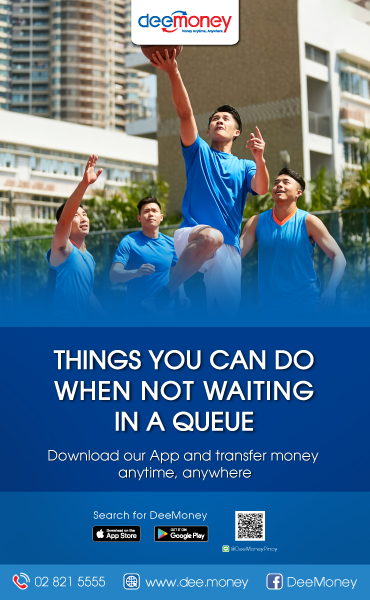 Here is the announcement from the Philippine Embassy. Be informed! Meet the speakers from DOLE-NRCO, Dep-ED, Professional Regulation Commission and Philippine Normal University and learn more about “SPIMS and employment reintegration”. Lunch and morning/afternoon snacks will be served. Entrance and seats will be guaranteed to the first 80 registrants.